SIMEC Energy Australia has yet again added to our awards list, this time being recognised twice in South Australia in The Premier’s Awards in Energy and Mining. Continuing a long history of award wins by the business, SIMEC Energy Australia was announced by the Premier of South Australia Steven Marshall MP last Friday night as the 2018 Award Winner of the Energy Sector – Excellence in Working with Communities: Delivering Customer Value for our work in reducing the cost of energy for the disadvantaged through renewable energy. Later in the evening, SIMEC Energy Australia was then also announced for a 2018 Commendation for the Energy Sector – Excellence in Innovation: Transformational Innovation award for our work in transforming the Australian energy sector to bring prices down and realise South Australia’s new energy advantage. SIMEC Energy Australia’s win for the Excellence in Working with Communities award was a result of developing a business model to enable the social and disadvantaged housing sector to install solar energy on many of their housing assets, that would be self-funding with a positive cash flow and still provide a 40% plus saving on electricity to the tenants. 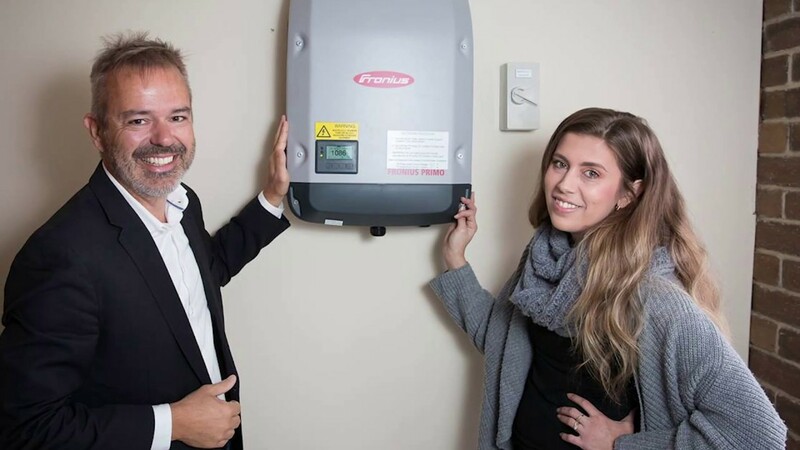 Working closely with four top tier social housing providers, this model is already providing cheaper electricity to hundreds of disadvantaged households in South Australia and has the potential to be deployed over thousands of households. This winning program is delivering practical benefits for disadvantaged communities that would usually find it difficult to access renewable energy technologies. Watch ZEN Energy founder Richard Turner discuss the program and what it is achieving below. SIMEC Energy Australia’s commendation for the Excellence in Innovation: Transformational Innovation was awarded as a result of the work the business is already doing in transforming the Australian energy sector to bring prices down and realise South Australia’s new energy advantage. SIMEC Energy Australia is partnering with large consumers of energy in the commercial and industrial sectors in Australia and utilising large-scale renewables with firming assets to back retail electricity contracts. The company has now embarked on a program to deliver a $1 billion roll out of renewable energy capacity investment in South Australia, creating lasting benefits for regional communities and those employed within its Adelaide office. The awards cap a strong year for SIMEC Energy Australia, as the company continues on its growth trajectory for its residential and commercial solar and energy storage work whilst also growing into an energy retailer of true alternative for the large energy users of Australia. The awards yet again highlight the market leading work that SIMEC Energy Australia is doing across Australia, and add to other recent award wins for the company’s leaders and innovative partnerships with large energy users. As the company continues to grow into 2019 and beyond, this recognition by the Government of South Australia is yet another example of how energy users of all types can trust their needs to SIMEC Energy Australia.